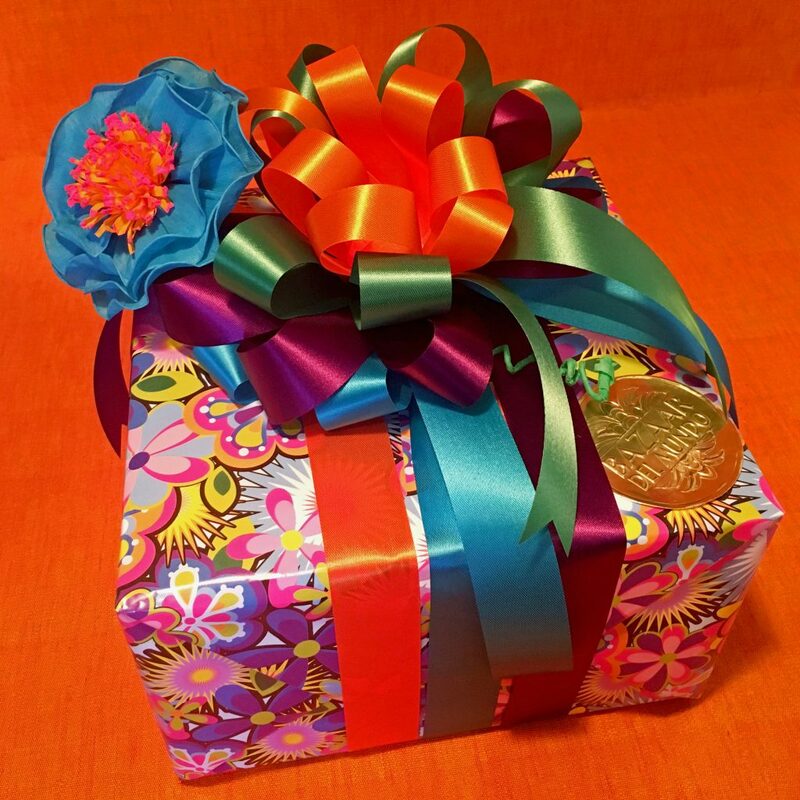 Win “Cinco in a Box” from Bazaar del Mundo! What’s your favorite fiesta? 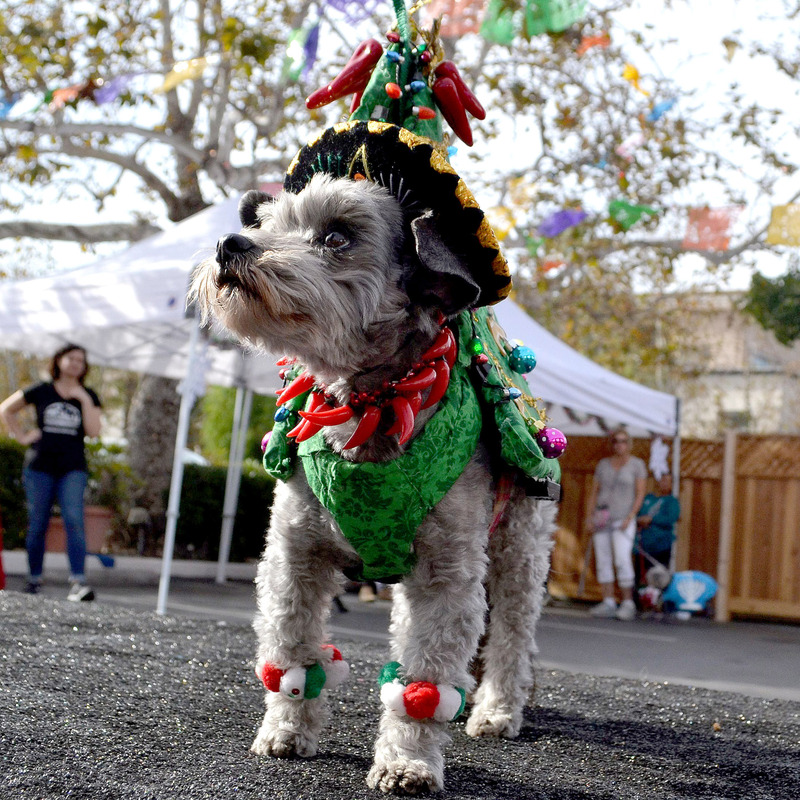 If you’re like us at the Bazaar del Mundo Shops and Restaurants – Cinco de Mayo tops the list! For our followers who want to celebrate this festive holiday at home, our “Cinco in a Box” contest will help! 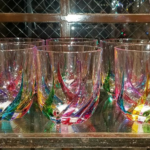 One lucky winner will take home a beautiful Cinco-themed package filled with margarita glasses, Cinco décor, salsa and more, plus a $50 dining certificate to Casa Sol y Mar. To enter, visit our Instagram account (@bazaardelmundo) and tag a friend you’d like to spend Cinco de Mayo with on the official contest post, and be sure you’re both following us. We will randomly select and announce the winner on Friday, May 4! Looking to add to your spring and summer wardrobe? 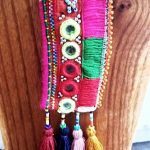 Visit Bazaar del Mundo today to shop exotic new pieces, including handbags, earrings and keychains, while supporting Thailand’s local artisans. 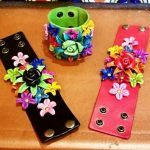 Each accessory was designed and created in Thailand by disabled women who are part of a free-trade organization. Scroll through the galleries below to see some of the unique accessories available for purchase. 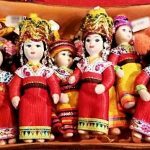 From one-of-a-kind folk-art pieces, to delicious authentic cuisine, Bazaar del Mundo has something for everyone. Treat yourself, then treat yourself AGAIN at our Shops and restaurants with two of our favorite promotions! Love shopping? You’ll love it even more during Shop & Feast. 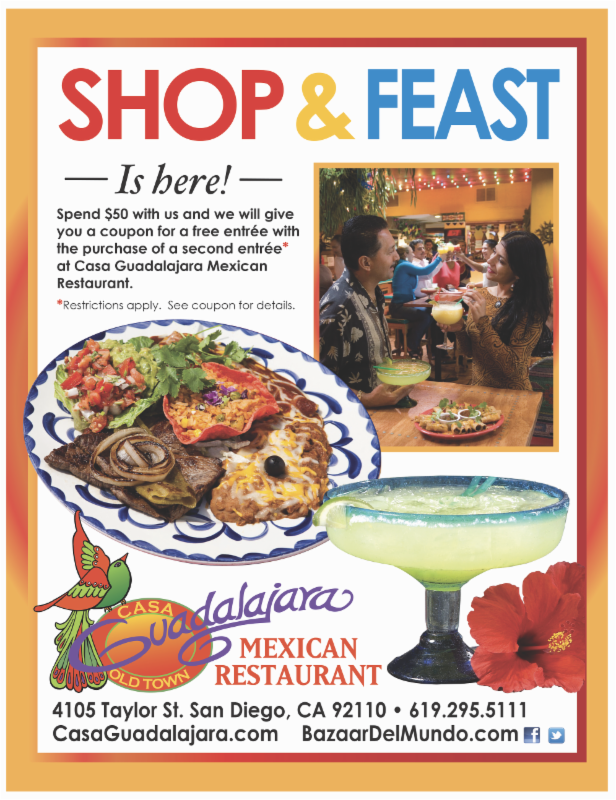 From now until May 24, spend at least $50 at any (or a combination of) our Shops and receive a coupon for a delicious meal at our neighboring sister restaurant, Casa Guadalajara! See below for full details. REALLY love shopping? Our Frequent Shopper Rewards Card was designed for our most loyal customers. Receive a punch in your card for every $50 you spend at our Shops. Once the card is full, you get a $50 merchandise credit toward your next purchase! 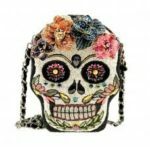 Turn Heads with a Fabulous Bag by Consuela — On Sale Now at Bazaar del Mundo! 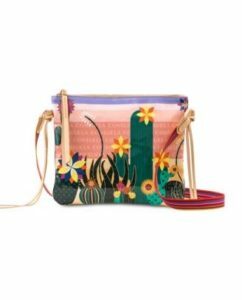 Consuela derives its name from the Spanish verb consolar, meaning “to console, comfort or uplift.” The brand’s collection of handbags and accessories captures the essence of this philosophy, while reflecting each customer’s individual style. 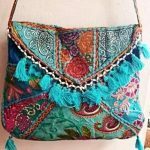 This petite purse, with a long cross-body handle, is ideal for your next music festival, coffee date, or when you just want to keep the weight of the world off your shoulders! Keep your keys, wallet and cell phone in one adorable and easily accessible place. 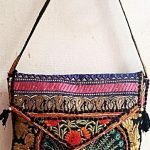 This bag is the most versatile style in the collection. There is one large open compartment and one large zipper compartment – perfect for holding all your essentials and your laptop or favorite books. Use the built-in lanyard to make sure you never lose your keys again! 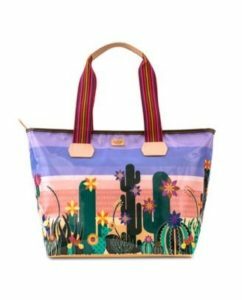 This incredibly roomy bag is a more compact version of the “Grande” tote. An open slide pocket and a small zippered pocket make for the perfect place to stash your cell phone and keys. 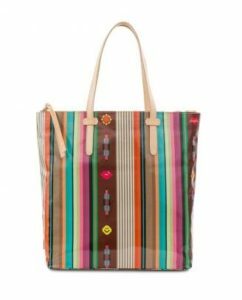 Stop by Bazaar del Mundo today to get your hands on one of these funky and trendy bags! 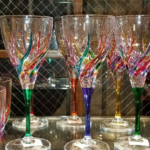 Come into The Gallery at Bazaar del Mundo to view Jon Stuart Anderson’s newest designs, including some “simple” creations that are offered at a reduced price – perfect to jumpstart your collection! 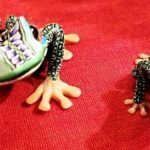 These amazing animals are created by using colored Fimo clay. Every color in each design is actually a different piece of clay. There is absolutely no paint used whatsoever! Using a technique based on the ancient Millefiore method of glassmaking, Jon combines different colored canes of clay to create an illustration roughly the size and shape of a loaf of bread. The central design is repeatedly stretched and cut as other designs are added. Just as in nature, this process is replicated over and over until the finished organism becomes quite complex. The composite image is finally reduced by further stretching to the size of a small coin, and then cut and applied much like mosaic tiles to the animal’s form. Every stage of the arduous process is done completely by hand. The entire piece is then fired and finished. 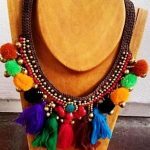 Because each piece is completely handmade, no two are ever exactly alike. Once the design tiles are all used, that image is gone forever. This renders each piece unique and collectible. 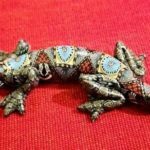 Jon Anderson is the most accomplished polymer artist in the world today – an exceptional combination of artist, botanist, mathematician, zoologist and engineer. Jon is inspires by the wonders of nature and art. 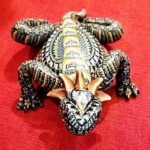 He has been refining these amazing sculptures for more that 25 years and continues to create new and beautiful images by his own hand every day in his studio, hidden deep in the paradise of Bali. It’s a new year, new color for 2018. 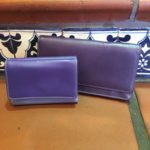 Pantone, the organization that predicts color trends for brands and products, named Ultra Violet as its “Color of the Year.” According to Pantone, shades of purple are known to display artistic brilliance, which is the perfect way to describe the amazing crafts found at the Bazaar del Mundo Shops. You’d be hard pressed to find anyone in San Diego who loves vibrant color more than Diane Powers. That love is reflected throughout her Bazaar del Mundo Shops and Restaurants, home and personal style. 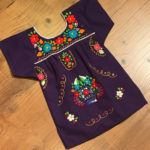 At the Shops, you’ll find items for your home, wardrobe and more in this year’s hot purple hue, all supporting artisans from Guatemala, Mexico, India and beyond. 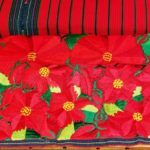 Pieces for the home include hand-woven napkins and table cloths from Guatemala, embroidered table décor from India and hand-painted Mexican crosses. 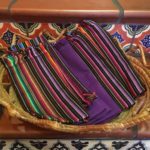 Hand-woven napkins come in colorful striped prints with hints of purple as well as solid purple for those who want to fully embrace the color of the year. 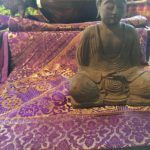 Beautiful embroidered table runners from India with hints of gold achieve a royal finish, and the beautiful selection of hand-painted Mexican crosses add pops of color to the wall in all sorts of purple hues. 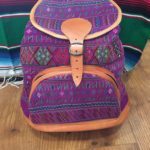 Liven up your wardrobe with the addition of purple MyWalits, vibrant, two-tone leather wallets from Italy, handwoven backpacks from Guatemala, embroidered Mexican tops for girls and women and hand-painted silk scarves from locally based Dan Dee Silks. 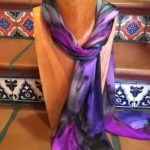 Dan Dee Silk’s scarves come in several hues of purple and pair perfectly with simple tops or dresses to make a bold statement. Ready to embrace 2018’s “Color of the Year?” Come find new inspiration for your home, wardrobe and beyond at Bazaar del Mundo! Thank You for Joining Us at Helen Woodward Animal Center’s Home 4 the Holidays Celebration! 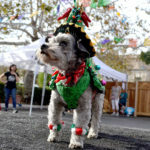 What a fabulous way to celebrate pet-lovers and pet-adoption! 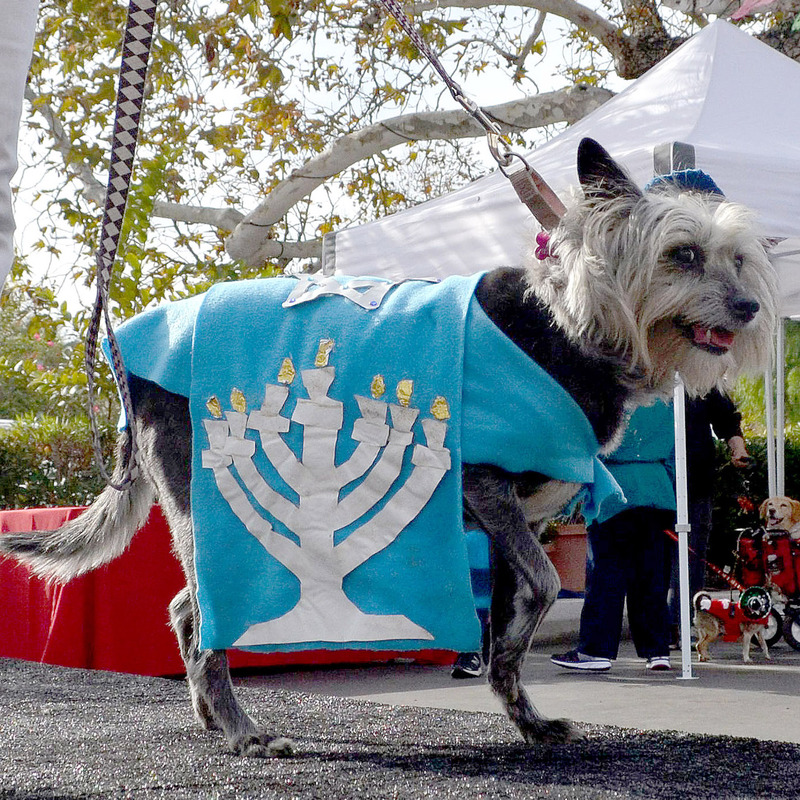 Bazaar del Mundo recently hosted Helen Woodward Animal Center’s annual Blue Buffalo “Home 4 the Holidays” event, which celebrates HWAC’s global efforts to find forever homes for more than 1 million orphan pets each year. 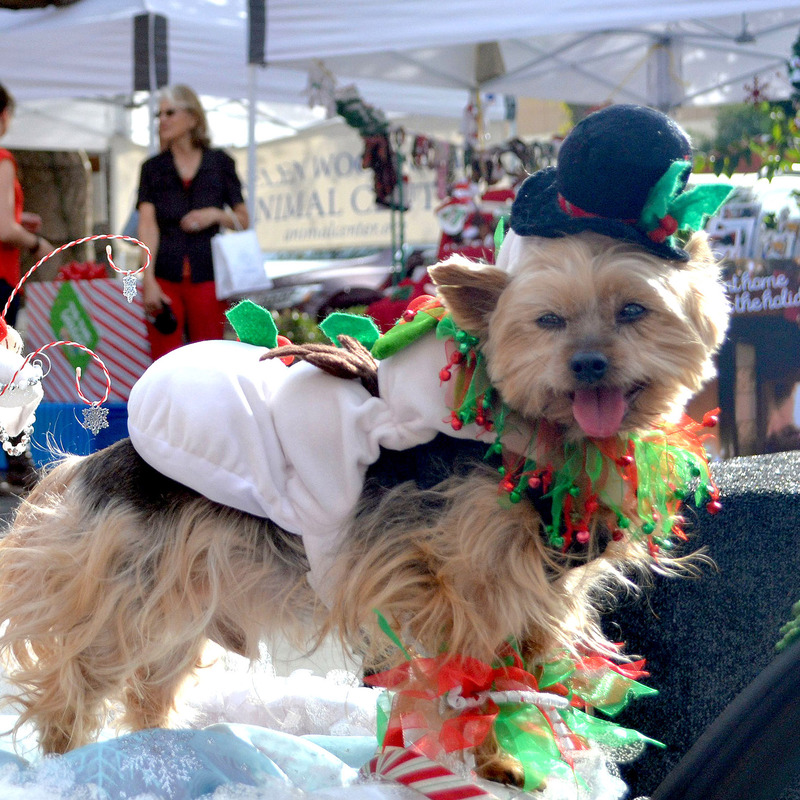 Our celebration event included photo ops with “Santa Paws,” festive holiday treats, opportunity drawings, adoptable puppies, a huge selection of pet-themed merchandise, and a canine costume contest with pups dressed in their holiday best. It was a great opportunity for people to find unique holiday gifts for the pet lovers in their lives, while also helping to raise funds for an amazing cause, as portions of our sales that day were donated back to Helen Woodward. The big winners of the costume contest? 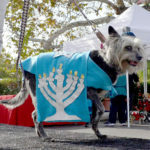 First Place went to Sir Ruffles von Vicious as a Christmas Tree (with lots of bark), Snowman Bailey came in Second, and Happy Hanukkah Ruby in Third! It was “paws-itively” adorable! Visit our Facebook page to see more photos from this fun holiday event, and we can’t wait to see everyone again next year! ‘Tis the season to start decorating for the holidays! 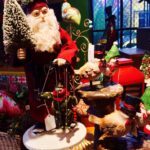 Bazaar del Mundo is the perfect shopping spot for unique décor to get your home in the holiday spirit, with each shop filled with seasonal treasures from all over the world, including home accessories, collectibles, ceramics and more. Our large collection of adorable Santas and seasonal accents will give any space holiday cheer. Our beautiful poinsettia candle holders and sparkling miniature Christmas trees help create a warm and welcoming atmosphere. 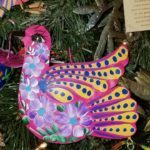 Discover holiday treasures from Mexico and Guatemala when you visit our second floor! Our festive Christmas trees are adorned with hand-crafted metal and wood ornaments that would make Santa and his elves proud. Planning a Christmas dinner or party? 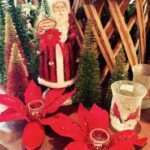 Create a table setting that guests will adore with our gorgeous and colorful Italian cut crystal and beautiful red poinsettia table runners. 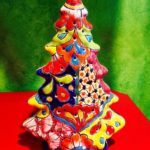 If you’re searching for home decorations with an authentic Mexican feel, we also have a wide selection of artisan painted Talavera plates and ceramic tree and reindeer mantel decorations and more! 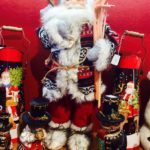 From home goods to folk art, Bazaar del Mundo in Old Town offers plenty of options to transform your home during the holidays. Visit our website or call 619-296-3161 for more information on any of the items in this post. Día de los Muertos, also known as Day of the Dead, is a Mexican celebration to remember family and loved ones. Despite its title, the holiday is a vibrant and colorful tribute to the lives of those who have passed. 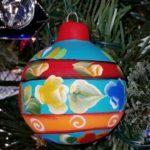 Celebrated every November 1 and 2, the festival originated in ancient Mexico and is still practiced in many North, Central and South American countries. It is believed that the dead come from beyond to visit the living, so loved ones create altars to honor and delight their dearly departed, elaborately decorating the altars with treasured items of that family member or friend, and traditional elements such as marigold flowers, candles, water, bread and salt. 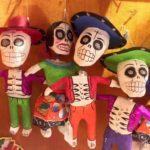 At Bazaar del Mundo, we have a vast collection of Day of the Dead-themed items, whether you’re looking to decorate your own altar, home or wardrobe. 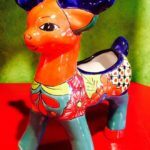 Visit our Artes de Mexico Shop to find a large collection of papier-mâché decorations, hand-painted Catrina figures and tiles, traditional sugar skulls and decorating kits, paper flags and more. 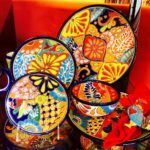 Upstairs you’ll also find a collection of beautifully embroidered Day of the Dead-themed pillows, kitchenware, beaded jewelry and other authentic Mexican items. 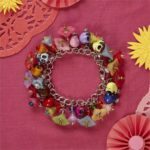 Or, head into Ariana for a fun selection of enamel skull earrings and bracelets, sugar skull candles and designer handbags. We also invite you to join us in our own Día de los Muertos celebration on Thursday, November 2. Children and families can enjoy a sugar-skull decorating class and traditional face painting (small fee applicable) from 4:30-8 p.m. Complimentary hot chocolate, mini churros and coloring sheets will be available for the children, while historical handouts will be provided to adults. 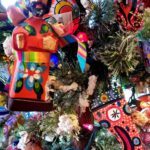 Our celebration is in conjunction with Old Town’s Día de los Muertos event on November 2, which includes the “Tour of Altars” at more than 40 altars throughout Old Town, counting several altars at Bazaar del Mundo and neighboring Casa Guadalajara, which will also offer authentic Mexican specials for the holiday. 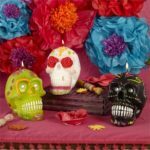 Come visit Bazaar del Mundo for all your Día de los Muertos decorating and celebrating needs! 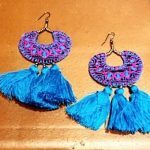 The Southwest is making a comeback, with boho lovers and free spirits across the country presenting bold pieces of turquoise, vibrant hues and Zapotec designs. 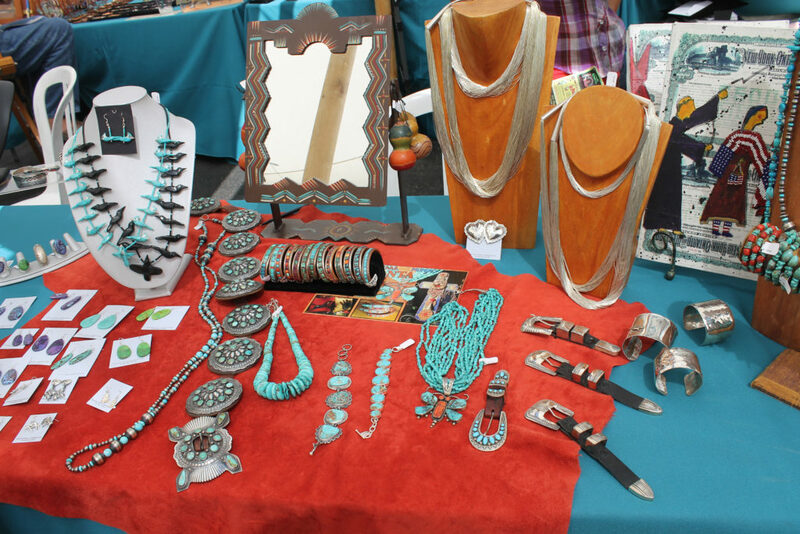 Here in San Diego, the best of Southwest’s Native American jewelry, art and crafts will be on display and for sale at Bazaar del Mundo’s annual Santa Fe Marketplace, Friday and Saturday, September 15-16, 10 a.m. to 7 p.m. 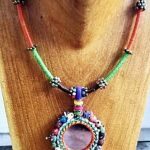 Visitors can take in dazzling sterling silver and multi-stone inlaid jewelry made with stunning turquoise, coral and other exotic stones, hand-woven Zapotec pillows and rugs, leather accessories, fetishes, storytellers, Pendleton blankets and more. 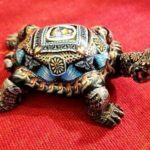 Returning to this year’s festival, pawn trader Art Quintana will appraise visitors’ fine Indian jewelry and family heirlooms (up to two pieces each). 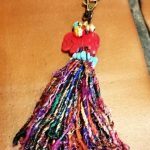 With 30 years in the Native American jewelry business, Quintana’s collection of traditional and contemporary necklaces, bracelets, rings, bolo ties, concho belts, earrings, beadwork and more, offers a treasure trove of items he has discovered in pawn shops throughout the Southwest. 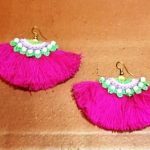 Federico, a celebrity-favorite jewelry designer whose stunning turquoise creations have been worn by Christie Brinkley, Ali McGraw, Elle McPherson and more. 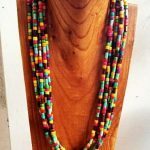 Kim Yubeta uses vintage beads from far-off lands made of turquoise, coral, lapis, spiny oyster, amber, jet and onyx to fashion her necklaces that show in galleries throughout the Southwest. Anomaly Imports offers a huge selection of hand-woven Zapotec rugs, blankets, runners and more in glorious colors. John Balloue’s vibrant acrylic and mixed media paintings are held in many private and public collections, including the Cherokee Museum in Tahlequah, Oklahoma; the John F. Kennedy Center in Washington DC; the SWAIA Indian Market in Santa Fe, New Mexico; and the Heard Museum in Phoenix, Arizona. 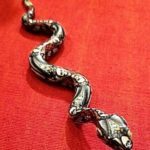 Veronica Benally, a traditional Navajo artist whose handmade silver and/or gold bracelets with natural stones were awarded “Best in Show” from the Museum of Man in Balboa Park. 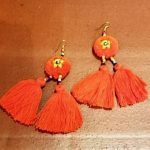 For more information, visit www.bazaardelmundo.com.